Background/Info: This is the second official EP by nTTx. Gord Clement was previously involved as the singer of Atomzero, but is now running his own band. Content: The last year released “Objective”-EP was a promising debut while this new EP simply confirms the potential of nTTx. The opening piece is a phenomenal song inspired by EBM reminding me of bands such as Front 242, Leather Strip (which did the mastering of the EP) and Nitzer Ebb with a surprising, but terrific disco-like groove on top. The EBM influence comes back on each new song. This EP features 4 new songs plus a remix of “False Beautiful” (originally released on their first EP) by Rotersand. Notice by the way nTTx still added a new cover version, this time the famous “Eye Of The Tiger” from Survivor. 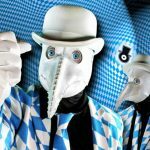 + + + : nTTx is not reinventing EBM and doesn’t bring real innovation, but the songs have been masterly crafted. It’s not an easy cheap composition, but a professional and efficient production mixing elements from different bands with a very own approach on top. The song “Movedark” is a real smasher, but I also have to mention “Prey” for its great sound treatments and “True” carried by a great and somewhat Nitzer Ebb-like bass line. Rotersand did a great job remixing “Falls Beautiful”. 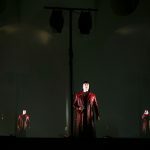 – – – : Gordon Clement is a great singer, but I’m sure he can put a little bit more passion in some of the vocal parts. I’m not that fond of the Survivor cover, but it’s fun while “Earth” featuring some guitar playing is nothing more than a B-side song. 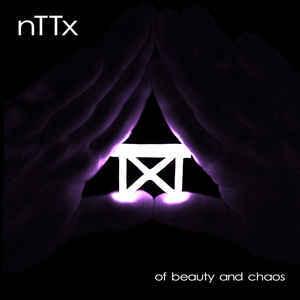 Conclusion: I highly recommend this new EP by nTTx, which is a great and modern EBM production. I’m really looking forward to this band’s debut full length. Best songs: “Movedark”, “True”, “Prey”, “Falls Beautiful – Rotersand Rework”.